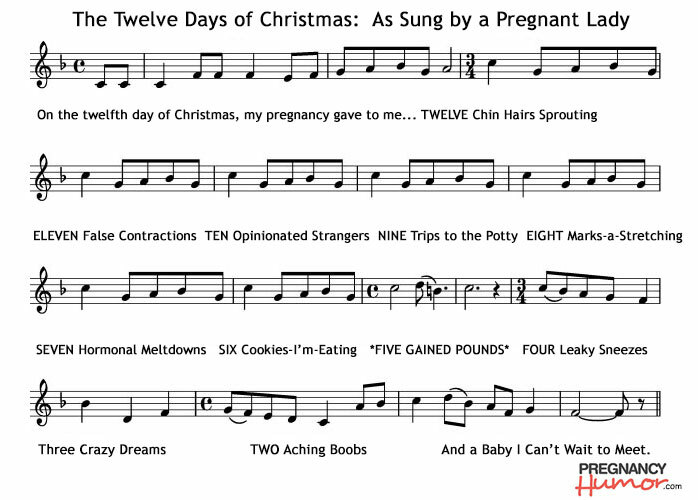 Spread the Pregnancy Cheer This Holiday Season! We love sharing! Except our cake. Never our cake. 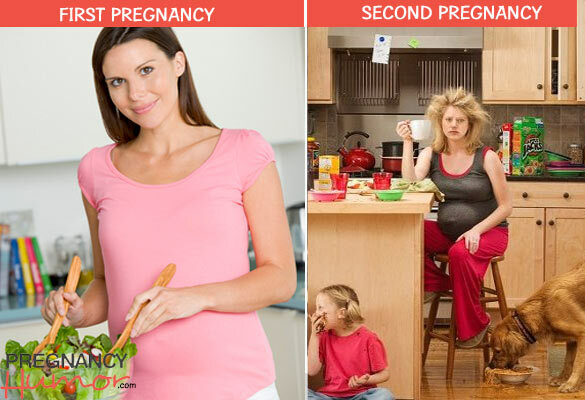 PregnancyHumor celebrates the funnier side of being pregnant with jokes, cartoons, top 10 lists, charts, eCards, videos and columns from moms-to-be. 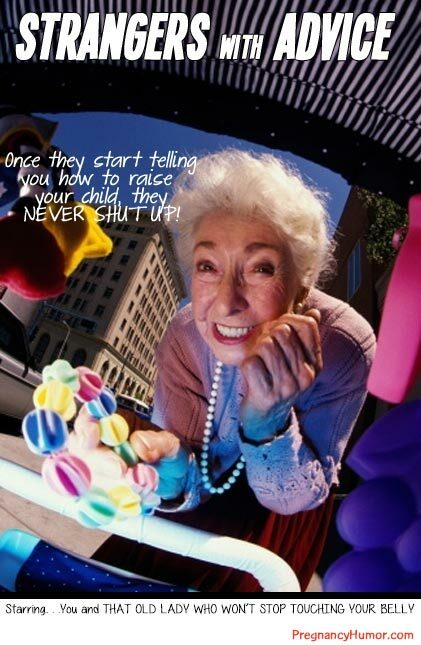 Because what better way to welcome Baby into the world than surrounded by laughter? 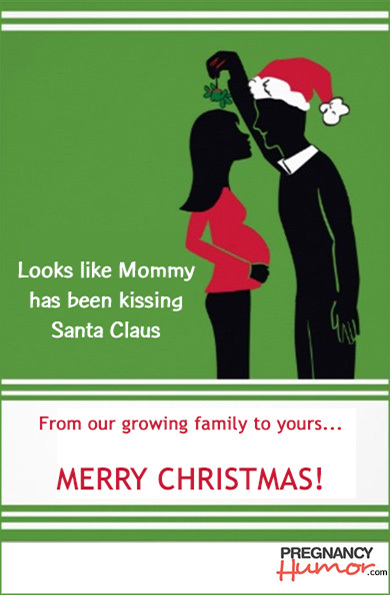 For even more maternity-fueled giggles, join us on Twitter and Facebook. 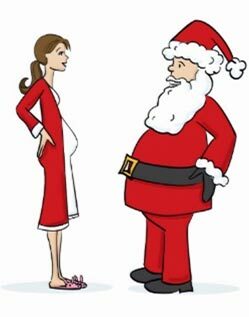 OH MY GOSH THERE REALLY IS A BABY IN THERE! 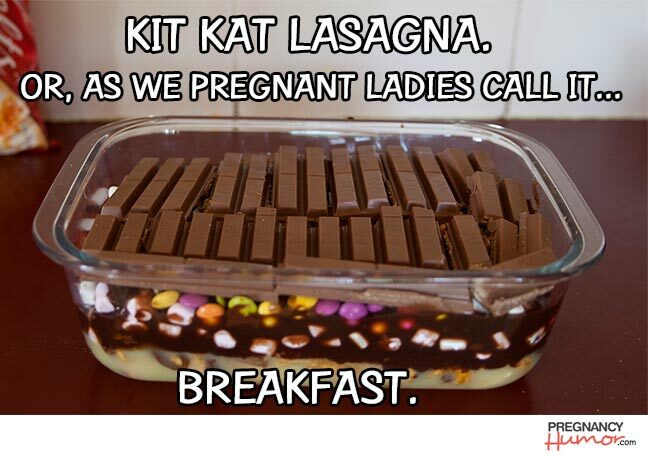 A great and funny pregnancy announcement from a paraplegic dad-to-be. Enter your email address to subscribe to daily maternity-fueled giggles and receive notifications of new posts by e-mail. 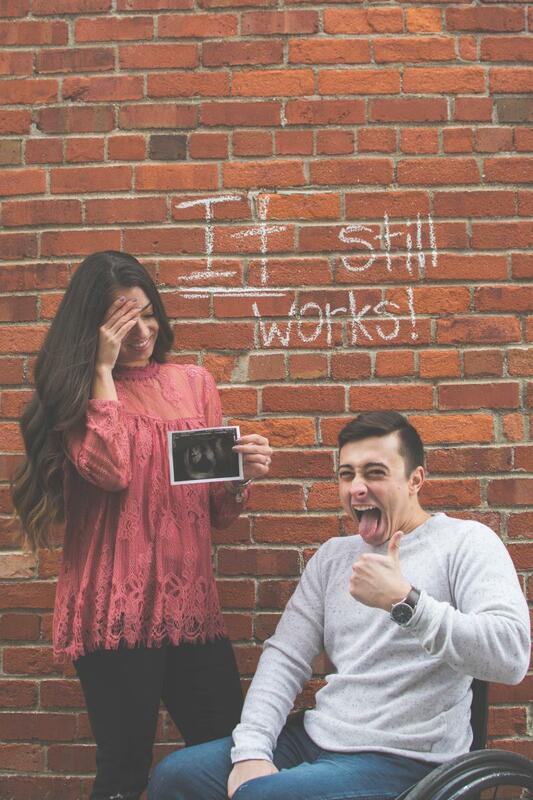 Send a Funny Birth Announcement! 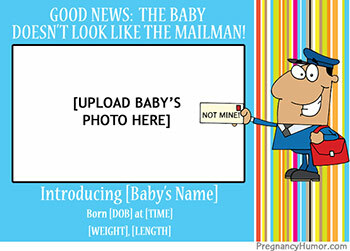 Just upload baby's photo and birth details -- and send!